From “History of Idaho” and found in Volume III starting page 1197. “A Narrative Account of Its Historical Progress, Its People and Its Principal Interests” This book is by Hiram T. French, M.S. The book also says it is Illustrated and published by The Lewis Publishing Company, Chicago and New York, 1914. I found this book while at Utah State University originally. I knew the history was inside but did not copy it then. I finally returned a few years ago, found the book in the new library, and made a copy. But at least I had it. I found it just recently on Google Books. This is John Nuffer, half-brother of my Regina Nuffer Wanner, not her father as some have previously indicated. John went by John, his father John Christoph, went by Christoph and Christopher. I have kept the spelling of the article. You can also read his autobiography too. “A quarter century’s residence at Preston constitutes Mr. John Nuffer one of the old timers of this vicinity. The mere fact of long residence, however, is somewhat of an empty distinction without works accompanying such residence. In the case of Mr. Nuffer there can be found ample evidence both of long residence and accomplishments in the realm of practical affairs and in good citizenship. Mr. Nuffer in early life was a graduate of one of Germany’s foremost schools of architecture. All his life he has been a builder and contractor and in Preston in particular probably much the greater part of the higher class public and residential buildings has been done under his supervision, or through his business organization. “Mr. Nuffer was born in Wuertemberg, Germany, December 4, 1862. He is a son of Christopher and Agnes Barbara (Spring) Nuffer. The father, who was a wine grower in the old country, came to America in 1882, first settling at Logan, Utah, but a year later came to Oneida county, Idaho, where as one of the early settlers he took up land and was a homesteader and farmer until his death in 1908. He was born in 1835. The mother, who was born in Germany in 1838, died there in 1865. 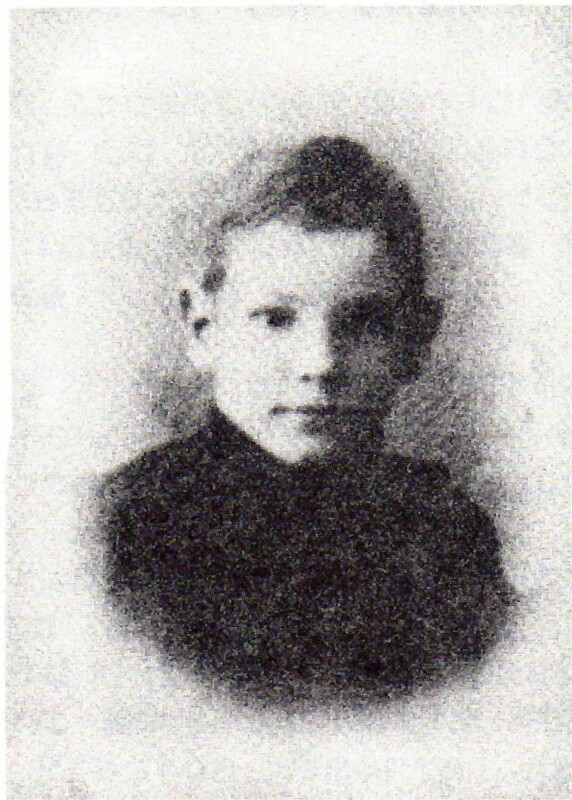 Of two children, John is the older, while his brother Fred is also a resident of Preston. “The grade schools of Germany were the source of Mr. Nuffer’s education up to his fourteenth year. At that customary age, when the German youths take up an education for practical life, he entered the Royal Architectural College at Stuttgart, where he was a student for four terms, and on leaving school as a budding young architect, he followed his profession in his native country for four years, up to the time of the removal of his father to America, when he became a resident of the western county. Mr. Nuffer has been largely engaged in contract work since coming to Idaho, and during the past ten years has had a large business of his own as an architect and builder. A complete list of his work at Preston and vicinity would be too long, buth some of the more prominent structures should be mentioned. They include the Oneida Stake Academy, consisting of two buildings; the Western [should be Weston] Tabernacle; the Preston Opera House; the McCammon public school, the grade public school: Fairview, Mapleton and Whitney public schools; the Tabernacle at Grace; the high school at Grace; the Latter Day Saints church in the First Ward; and most of the business blocks as well as many of the larger and more attractive residence structures in Preston. Mr. Nuffer is a director and secretary-treasurer of the Cub River and Worm Creek Canal Company. “His part in civic affairs has been hardly less important than in business. For four years, or two terms, he served as justice of the peace of Preston; one term as village trustee, and was clerk of the village board for one term. His politics is Democratic. He is a high priest in the Church of the Latter Day Saints, and served a two years’ mission for the church in Germany. “In November, 1885, at Logan, Utah, Mr. Nuffer married Miss Louise Zollinger, a daughter of Ferd and Louise (Meyer) Zollinger. Her father died December 16, 1912, and her mother is living in Providence, Utah. Her parents were pioneers of Utah in 1862, having crossed the plains to the then territory. 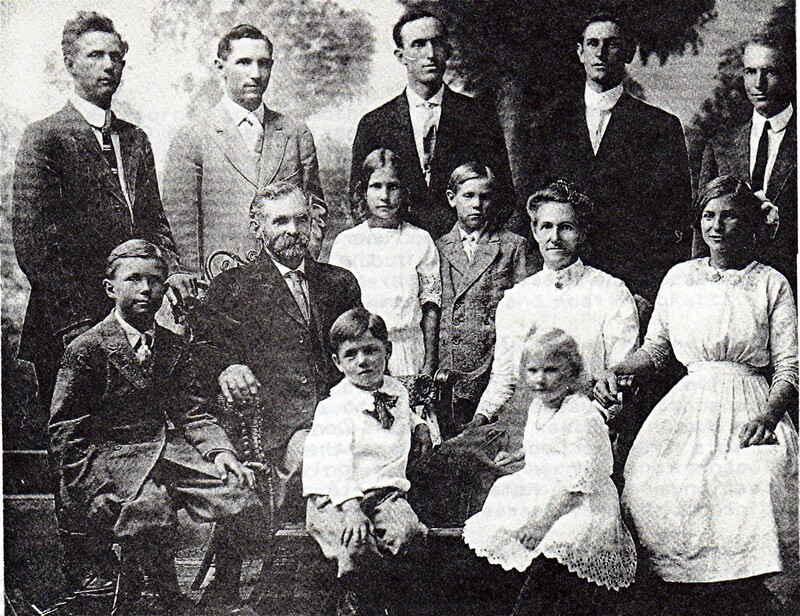 “The marriage of Mr. and Mrs. Nuffer has been blessed with a large family of eleven children, who are named as follows: Luther Jacob born at Providence in 1886, is a resident of Preston and is married and has two children; Willard John, born at Preston in 1888, is a graduate of Idaho State University in the law department and is a young lawyer at Downey, Idaho; Louis Ferd, born at Preston in 1889, is a school teacher in Preston; Herman Christ, born at Preston in 1891, is a student of civil engineering in the University of Moscow; Austin Eckart, born at Preston in 1893, is a high school student; Carl Joseph, born in 1895, died in 1904; Agnes Louise, born at Preston in 1898, is a schoolgirl; Myron David, born in 1900; Florence Myrtel, born in 1902, and Edwin Joseph, born in 1904, are all attending school; and Athene Barbara, born in 1907. “As a successful man and long business builder in this section of Idaho, Mr. Nuffer has a very high opinion of the state and forecasts its taking place among the first of American states. He has had a career of substantial self-advancement and practically all the propserity he has won due to his own labor. “His fondness for home life has precluded any association without outside organizations except the church in which he has had a prominent part. That ends the history from The History of Idaho. I thought I would provide some additional details on the family. John was born in Neuffen, Württemberg, Germany. Louise was born in Providence, Cache, Utah. Luther Jacob was born 21 June 1885 in Providence and died 27 January 1952 in Oak Grove, Clackmas, Oregon. He married Rosa Morf and later Mary Crockett. Willard John was born 19 January 1888 in Preston and died 27 January 1948 in San Bernardino County, California. I am not aware that he ever married. Louis Ferdinand was born 20 September 1889 in Glendale, Oneida (now Franklin), Idaho and died 19 August 1966 in Canby, Clackmas, Oregon. He married Ruby May Jensen. Herman Christopher was born 12 October 1891 in Preston and died 23 August 1940. He married Virginia Pryde Simmons. Austin Eckhert was born 6 August 1893 in Preston and died 2 March 1944 in Los Angeles, Los Angeles, California. Karl Aron was born 6 September 1895 in Preston and died 7 February 1905 in Preston. Agnes Louise was born 11 May 1898 in Preston and died 28 June 1983 in Downey, Bannock, Idaho. She married Raymond Hurst. Myron David was born 21 July 1900 in Preston and died 24 November 1976 in Logan. He married Camille Cole. Florence Myrtle was born 19 October 1902 in Preston and died 23 March 1994 in Soda Springs, Caribou, Idaho. She married Heber Wilford Christensen. Edwin Joseph was born 25 August 1904 in Preston and died 21 June 1996 in Ogden, Weber, Utah. He married Jennie Arrella Smart. Athlene Barbara was born 21 November 1907 in Preston and died 23 November 1991 in Preston. She married Adrian Biggs Hampton.